Carrier has introduced the all-new Toshiba Carrier Variable Refrigerant Flow (VRF) Rooftop, a rooftop unit-style fan coil for the Toshiba Carrier VRF system that will allow multiple rooftop units to be connected to one condensing unit and additional VRF fan coil units, in order to help optimize energy efficiency and comfort with a rooftop HVAC solution. 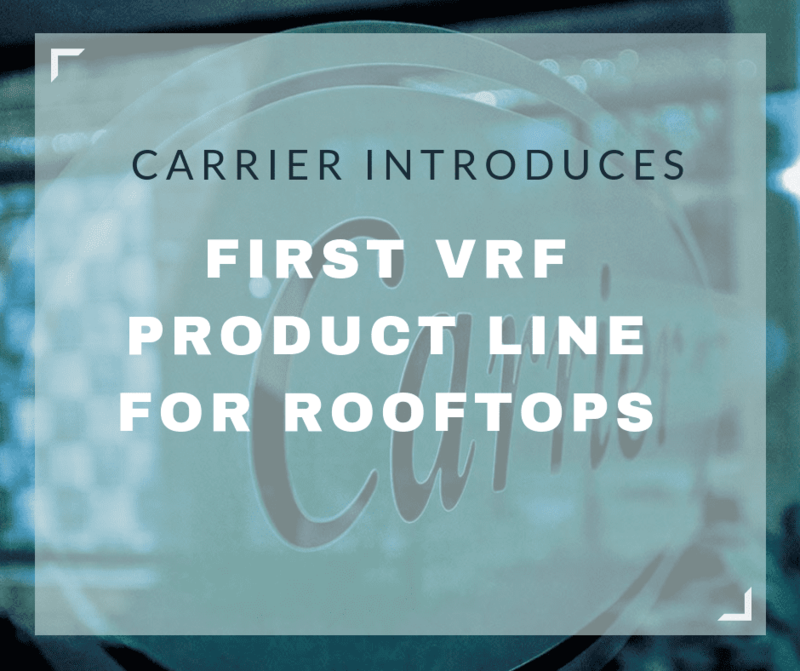 Building on Carrier’s legacy of innovation, the Toshiba Carrier VRF Rooftop is the first rooftop product line specifically designed using VRF technology. The VRF Rooftop can utilize existing roof curbs and ductwork and can be installed without running refrigerant piping into the building. The VRF Rooftop also has economizer capability to bring in outside air, and when used in conjunction with CO2 sensors, helps with building codes and standards compliance. When these features are combined with options like electric heat and horizontal or vertical discharge, rooftop replacements may result in minimal down time and reductions in installation costs. The Toshiba Carrier VRF Rooftop, available in 3-, 4- and 5-ton capacities, is ideal for both new construction and retrofit projects in school buildings, strip malls, shopping plazas, open office spaces, churches and buildings with structure load requirements. “The all-new Toshiba Carrier VRF Rooftop is a pioneer in the industry, having been specifically designed using VRF technology, and we are excited to offer our customers continued innovation in the rooftop segment with this unique VRF integration,” said Meredith Emmerich, managing director, Ductless & VRF Carrier.